Do you enjoy a very active holiday, adore adventure, and want to know more about; Peru, the Inca Empire, as well as the most famous of Inca ruins – Machu Picchu? Then this package is for you! Come and discover the best of the best in the Cusco region with us! Due to the altitude (around 3,400m) we try to have a light schedule for the first day in Cusco. Depending on when you arrive, you might have time to see the ruins of Saqsaywaman, the museum of Koricancha and maybe even take a cooking class. In the latter, you will have the chance to learn how to prepare typical Peruvian food and the most famous beverage, the Pisco Sour. 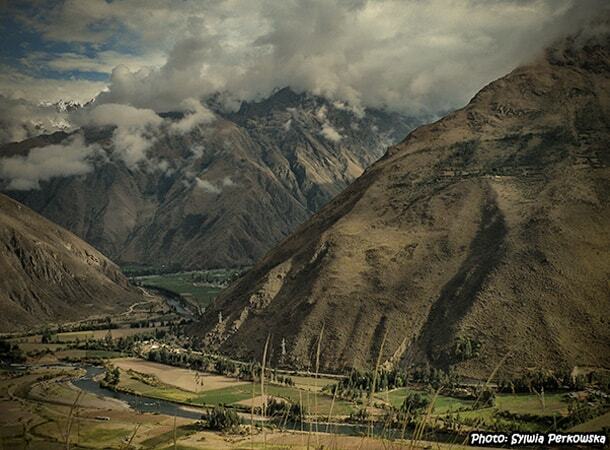 The Sacred Valley of the Incas, also known as the Urubamba Valley, is a unique valley in the Cusco region. Amongst all the stunning landscapes in the region, this valley is claimed to have a special energy. 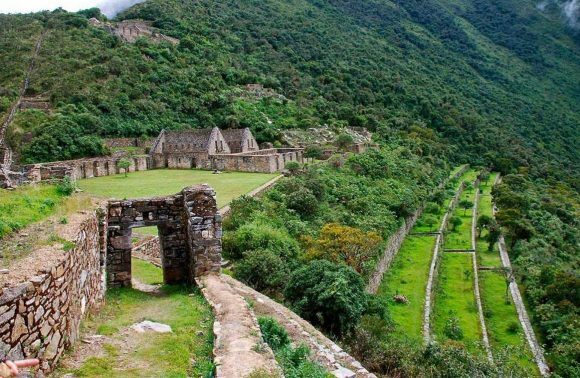 Here you will encounter the most beautiful ruins of the Inca Empire and have the opportunity to discover many new sites. 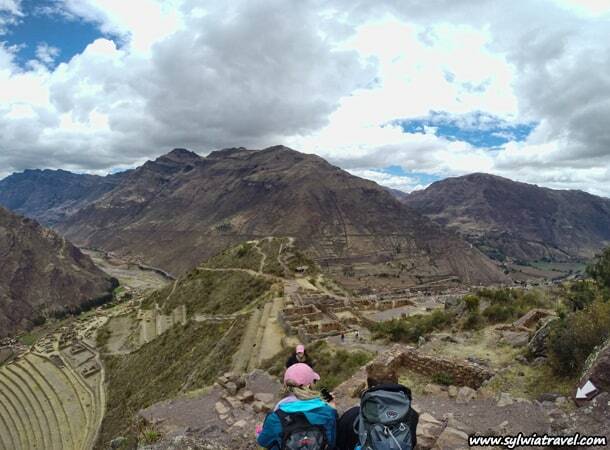 Ollantaytambo and Pisac are the most significant towns in the Sacred Valley – definitely worth visiting and enjoying. 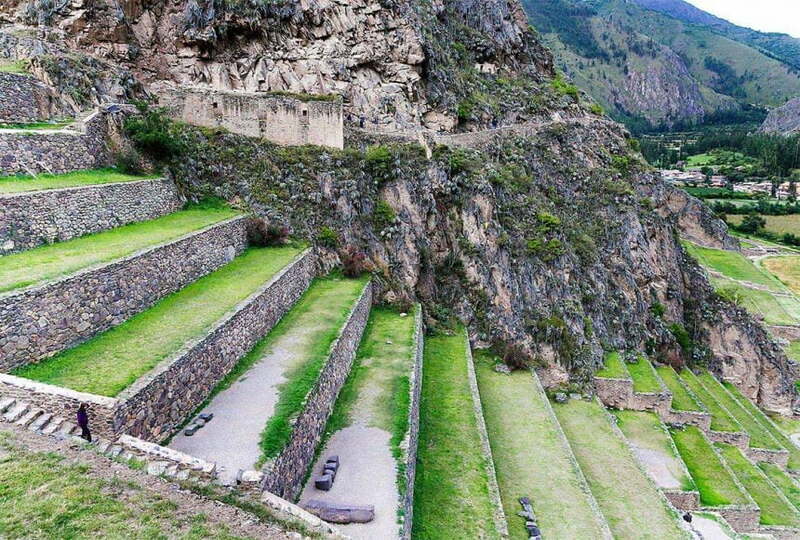 During the second day, you will have a chance to discover the former – the cozy Ollantaytambo. We will start the day early in the morning, around 7 AM. 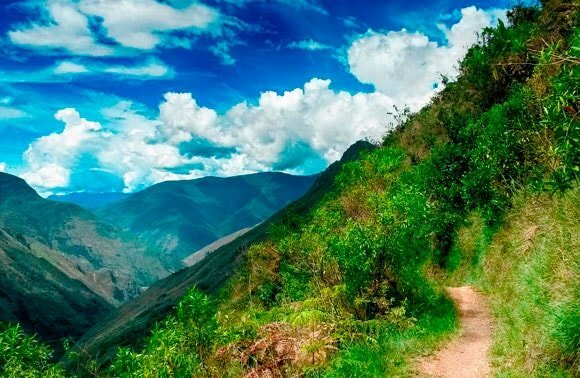 We will first visit the Inca ruins situated in the town and then continue by car to Patacancha Valley, which is famous for producing textiles in a natural way. You will have the possibility to meet local communities and learn about the production of textiles and handicrafts in this region. Following this, we will go by car to the Puma Marka ruins and from here we will descend (around 3 hours of hiking with a beautiful landscape) to Ollantaytambo, where we will arrive at around 6 PM. We can guarantee you that you won’t get bored during this part of the trip. The Inca Jungle Tour is more than a tour, it is an intensive adventure during which you will experience a myriad of exciting activities. 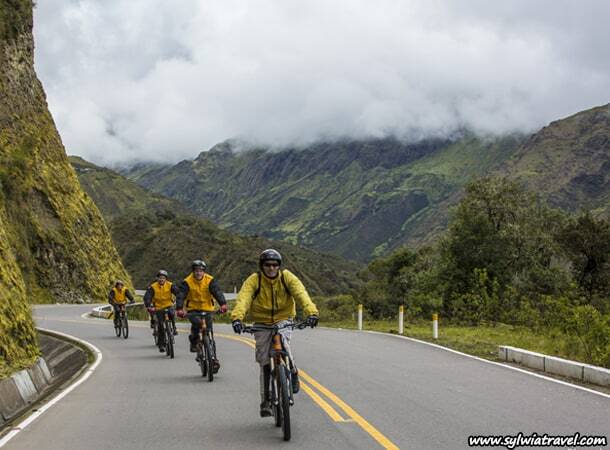 You will start the tour at an altitude of above 4,300m, from which point you will hop onto a mountain bike and ride downhill to the high jungle, which resides at an altitude of 1,200m. Following this, you can choose to test your water skills and go river rafting! We will finish the day by hiking to our rustic lodge surrounded by coffee plantations in the jungle, at an altitude of 1,500m. During the second day, we will explore Inca paths and spend the evening relaxing in the hot springs near the small town of Santa Teresa. The third day is more adventurous, as we will have the choice to go zip lining (optional) and then trek to Aguas Calientes. And now for the main event – day four! Today we will finally reach one of the 7 Wonders of the World – Machu Picchu, situated on the top of a hill, surrounded by mountains and jungle. In order for you to have the opportunity to fully enjoy this incredible site, we will start our day very early and stay at Machu Picchu till 5 pm (closing time). Following this, we will return to Cusco, and arrive at around 1 AM. 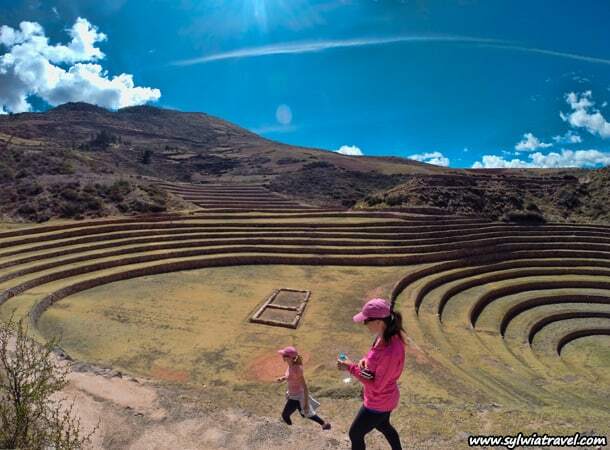 The seventh day is devoted to the other important town in the Sacred Valley – Pisac, which we will reach by car. 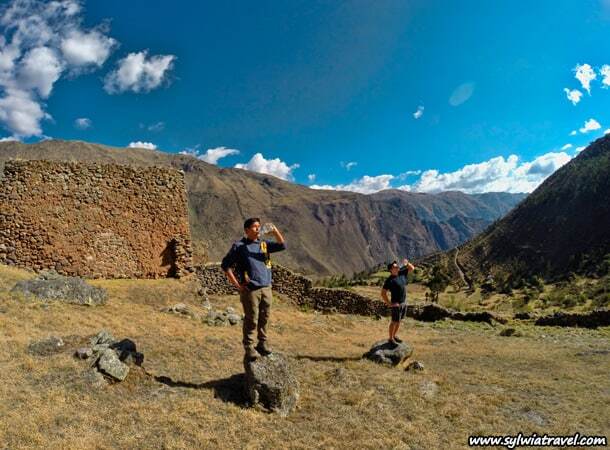 We will have some time to walk around the center and explore of the Inca ruins situated just above town. From there you have the freedom to descend back towards the town and pass different sections of the Inca ruins and terraces. Our trip will end with the visit to a small zoo, in which you can see some of the most popular Peruvian animals: jungle birds, llamas, alpacas, vicunas and condors. 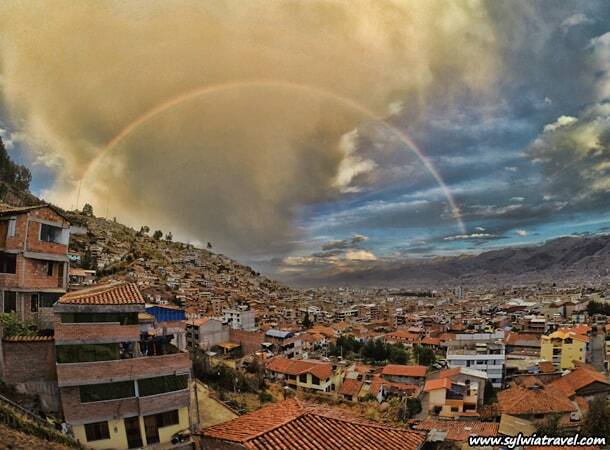 You will return to Cusco at around 6 PM and will have enough time to explore the city’s nightlife. Top tip: there are free salsa classes in many of the clubs in Plaza de Armas, from 9-11 PM. 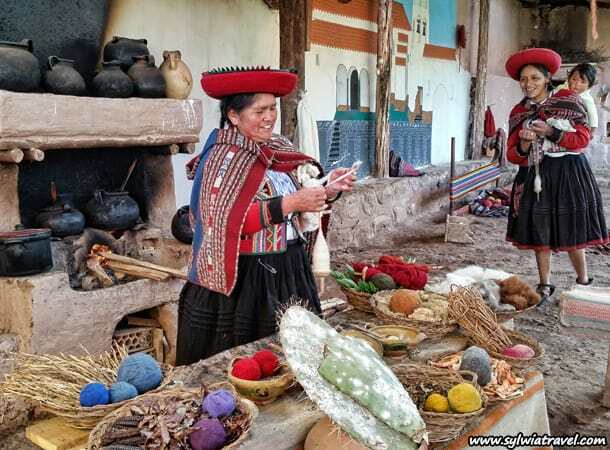 At around 8 AM we will visit the ruins in Chinchero where we will receive a lesson about the textiles of the region. Here, you will also be given the chance to participate in the creation of products! Our second stop is the archaeological site of Moray, which contains unusual Inca ruins, consisting of multiple circular depressions in the ground. 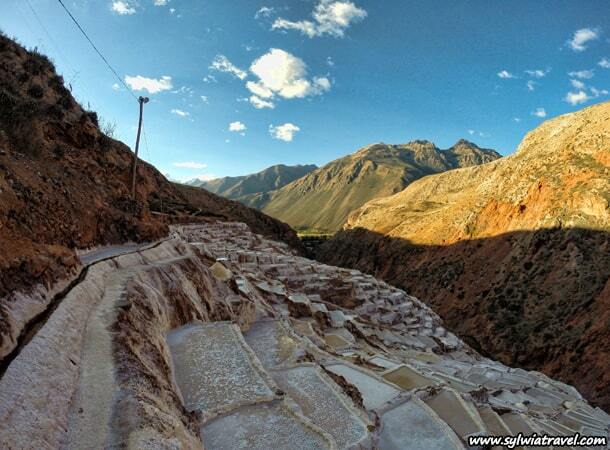 From Moray, we commute to our next destination – Maras. 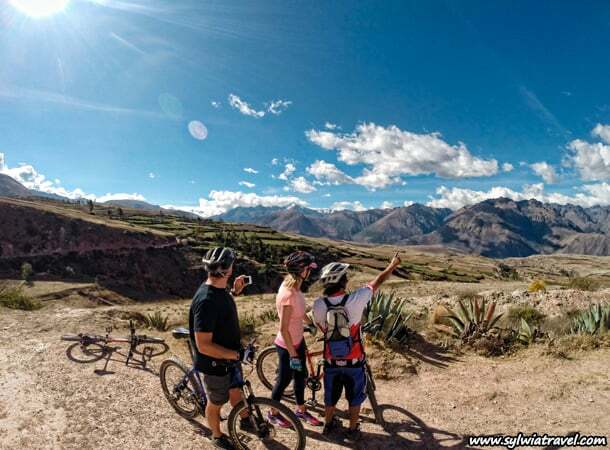 Here you will have an adventurous option of riding a bike (however, if you do not have experience mountain biking, you will have the chance to do the bike tour from Chinchero to Moray, instead). 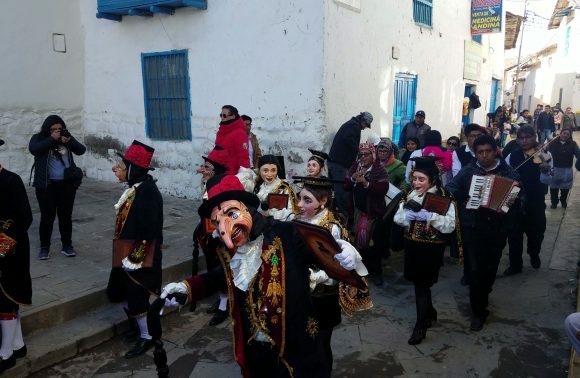 Maras is a small, cute town, where we will stop for a short period to learn more about the production of the most popular Andean beverage called chicha de jora (corn beer). Later we will continue our biking tour (with optional trekking) towards the incredible salt ponds, called Salineras de Maras which have been in use since the Inca times. Here you will have a chance to walk through more than 5000 salt ponds and learn about the production of salt here. Trekking or horseback riding (there is an option to do the tour partially on foot and partially on horse). During this trip you will have an aesthetic experience and also receive new knowledge. 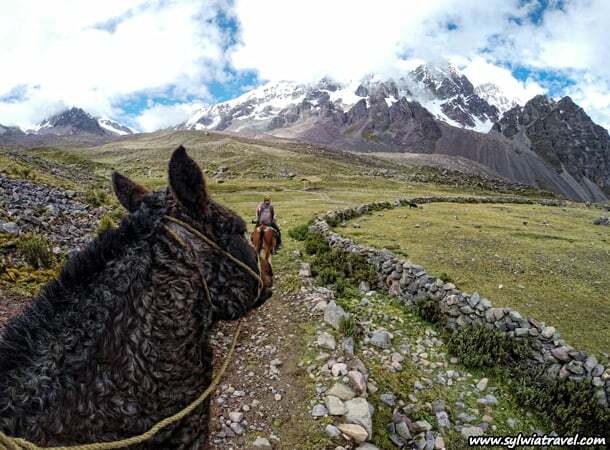 Not only will you have the opportunity to see wonderful landscapes of the Andes and reach almost 5000m, but as you pass through small villages high in the mountains you will learn about the cultivation of llamas and alpacas who herd along the way. Finally you can relax in a warm bath in the local hot springs with the view of Ausangate summit – the fifth highest mountain in Peru. The tour will start at around 5 AM and finish the following day at around 9 PM. You can find more details about this tour here. During your last day in Cusco you can enjoy a walk through the famous San Pedro Market (Mercado San Pedro) or opt to visit the several Museums, including the ChocoMuseo. Here, you can go on a chocolate and coffee tour, learn about the world-renowned chocolate and coffee from Peru, and most importantly – try delicious samples! If your flight is late in the afternoon, there is a possibility to organize a half-day tour to some local communities outside the city or to other archaeological sites. This itinerary is flexible. We always prepare our tours to suit the needs of each respective group, which is why it is possible to alter any part of the tour. The price of each tour depends on the size of the group, the type of accommodation and the type of service. If you have any questions about the tour, please contact us by e-mail at sylwiatravel@gmail.com. 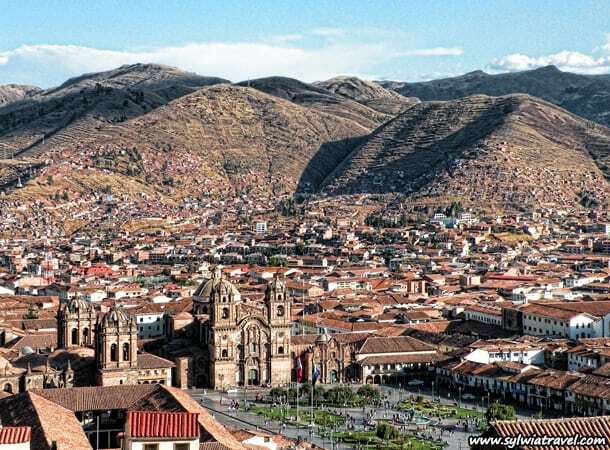 The region of Cusco is definitely one of the most beautiful and attractive parts of Peru. 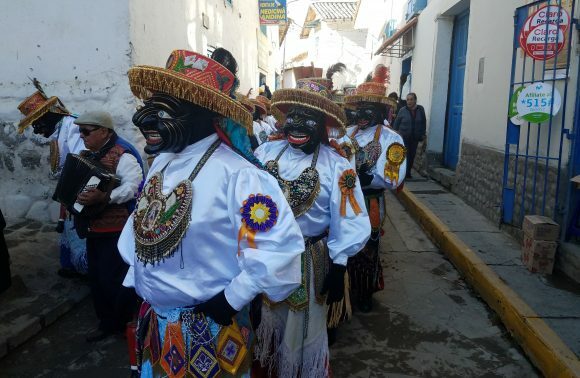 It is worth seeing not only because of the beautiful Andean landscapes, great treks, interesting history and archaeological sites; but also because of its warm and friendly inhabitants with their rich traditions and culture. 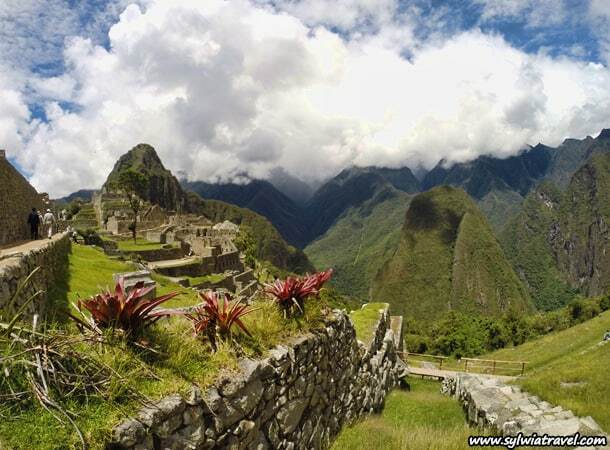 From here, you can easily reach the famous Inca ruins of Machu Picchu as well as jump to the jungle or high mountains. 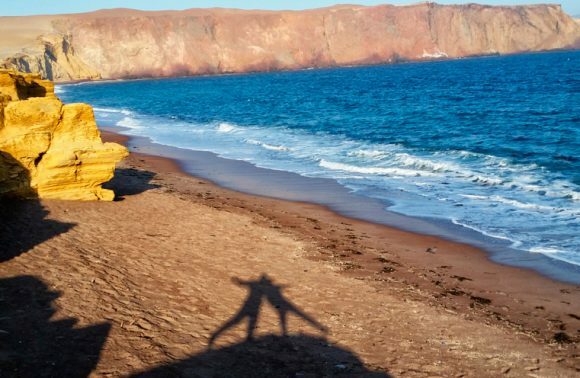 This famous region will provide you with incredible and unique attractions and experiences. Do not miss the opportunity to witness the best of what Peru has to offer! 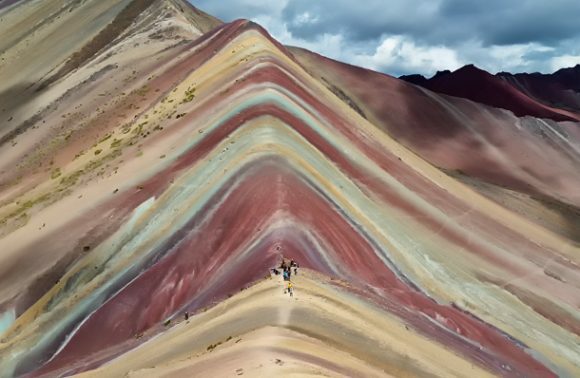 How High is Rainbow Mountain? 5 Famous Peaks Lower than Vinicunca!